Hi, I’m Lauren Abernathy and I write Senderellastory.com to help people get better at climbing and maximize their time climbing outdoors. 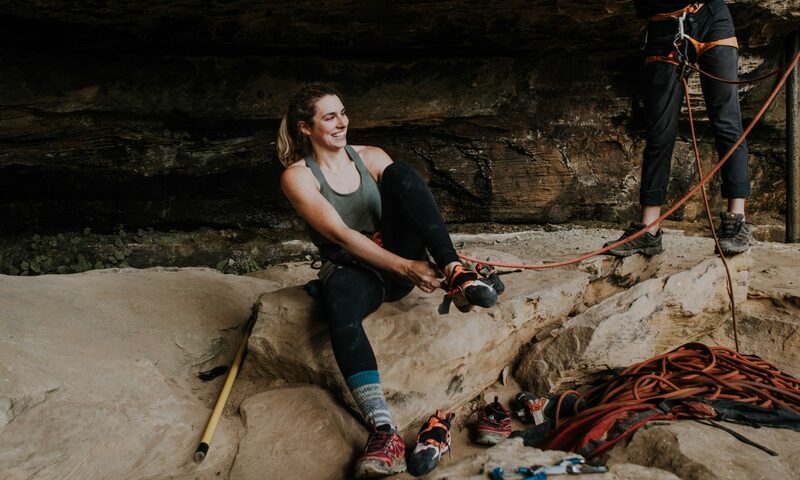 I started Senderellastory.com in 2018 to provide useful information to other busy individuals on how to effectively and intelligently train for rock climbing. I have been climbing for four years, picking it up in my college climbing gym at the age of 19. About two years in, I decided that my slow progress through the grades was not satisfying enough. With that, I began formally training. Since starting to train I have taken my hardest redpoint from 5.10a to 5.11d—my progress averaging about 3.5 letter grades per year. My hardest onsight has increased from 5.9 to 5.11a in the same span of time. I truly believe that following a structured training program can significantly impacted your capacity to improve as a climber, especially if you operating on a time budget like I am. Me on a deep water solo trip in Mallorca in the fall of 2018. When I am not climbing, you can find me working at my full-time corporate job in New York/New Jersey, skiing, or intaking as much information as I can to make myself and you, a better climber. If you want to learn more about my story, you can read about it here. To contact me, please email senderellastory@gmail.com and of course, I encourage you to follow me on facebook and Instagram.